C.C. 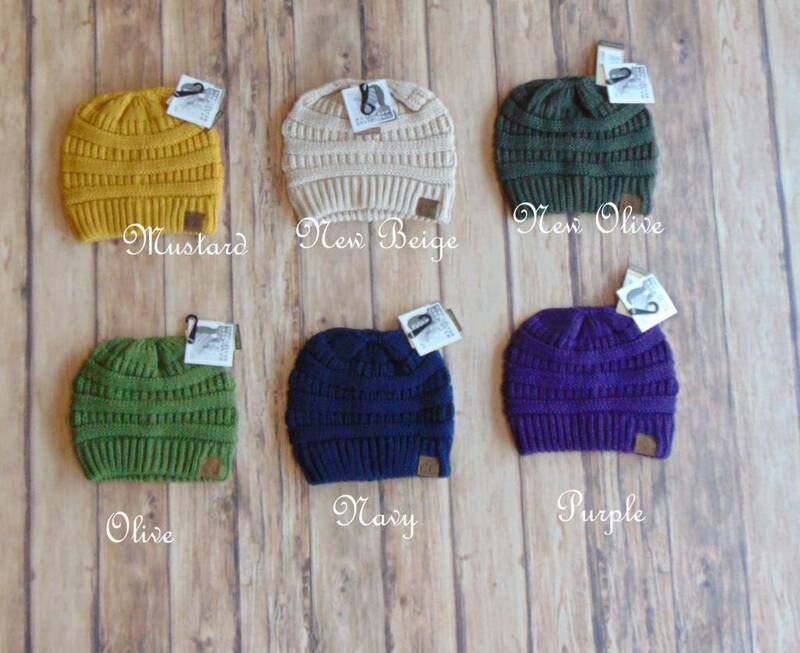 Messy Bun Beanie - Stori Anne Co.
100% Acrylic. 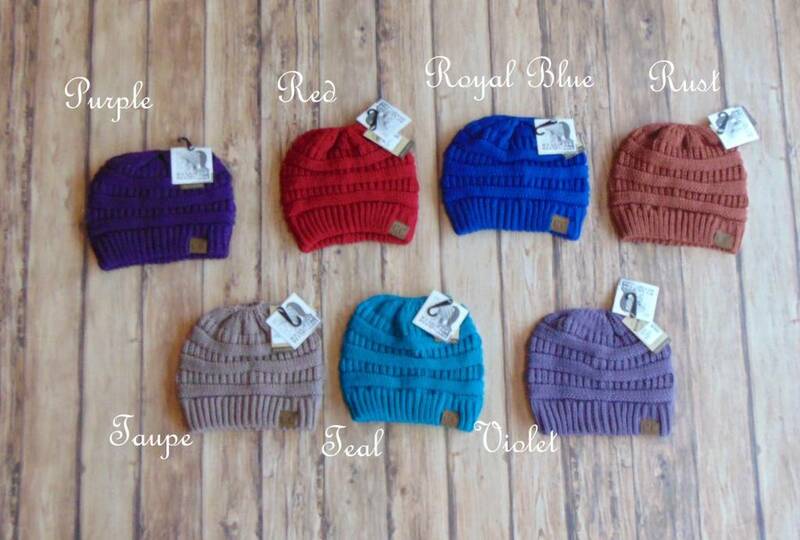 Knit beanie with hole on top to allow for a messy bun to accent! A great look to be able to still show off your hair when you're keeping cozy!